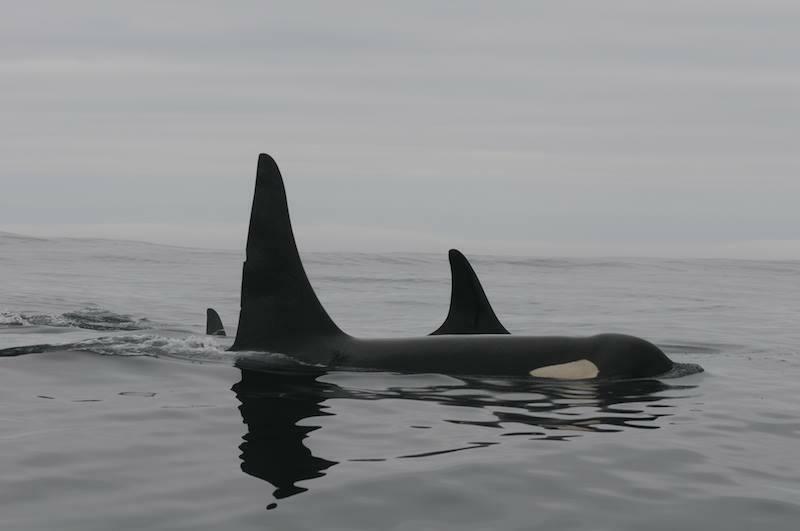 Multiple news sources are reporting that the matriarch orca is known as J17. She is 42-years old, and had a daughter carry a dead calf on her head for weeks last summer, gaining international attention to the plight of these Southern Resident Killer Whales, suffering from many human-caused factors scientists warn may lead to their extinction. Later in 2018 a second orca passed from starvation, despite a historic first-ever attempt to feed and medicate the wild animal at sea involving NOAA, local Native American tribes, Canadian wildlife officials, private researchers and conservation nonprofits. The CBC reported the death of this critical matriarch could have far-reaching impacts on the entire pod, which is down to 74 members. They reported this week the Washington State-based Center for Whale Research has predicted that J17- who lost two family members last year- is headed toward death from starvation, along with a 27-year old male, K25, who is starving after suffering the passing of his mom in 2017, a huge loss in his life, researchers said. Drone footage shows the whales are emaciated and not foraging. Losing this matriarch figure could spell trouble for the extended whale family, according to Lance Barrett-Lenard, director of Marine Mammal Research at the Vancouver Aquarium. He told the CBC "J17 is a grandmother and those grandmothers are as important in the killer whale world as they are in the human world. They're kind of the glue that holds their whole lineage together." He warned her passing could have a devastating ripple effect on the health of other members of the pod. Barrett-Lenard warned "We often find that mortality of other animals within their group, particularly their adult sons, tends to go up for a while after when a matriarch drops out." Conservationists note the whales are facing toxic pollution in their water caused by man, noise pollution and sonar related issues that disrupt them, and a severe lack of their preferred food, salmon, caused by people damming their rivers and harvesting the salmon the whales need. Barrett-Lenard from the Vancouver Aquarium told the CBC "A healthy whale has to stay fat. Whales have a blubber layer that they use for food and for insulation against the cold water and when that becomes depleted to a certain point, it's really hard for them to claw their way out of it." An animal whose photograph has been featured on the wall in HPR’s pledge central all week, as seen in the photo of that poster above, has had a terrible last seven days in the news.